The 1000 Series Stainless Steel Wine & Beverage Center (1224BEVS-00A) is perfect for your home bar. 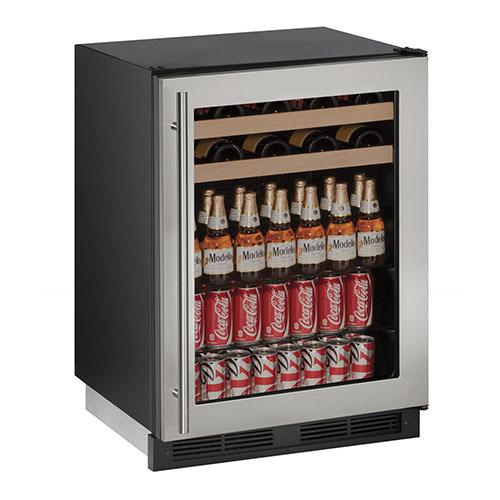 This beverage cooler lets you store up to 85 bottles (12-oz.) or 105 cans (12-oz.) as well as 16 bottles of wine. A digital passive cooling system regulates the temperatures while the LowE-coated, argon gas-filled Thermopane glass door ensures the temperature in this cooler remains within 1 degreeF of your settings. 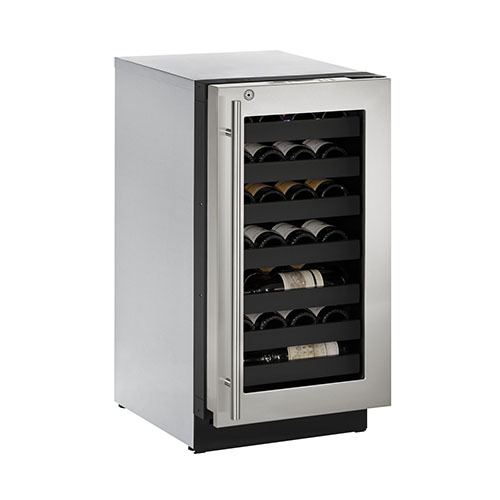 Stylish as well as convenient, this cooler has a stainless steel finish, clear glass door, and beech wood fronts on the wine racks. 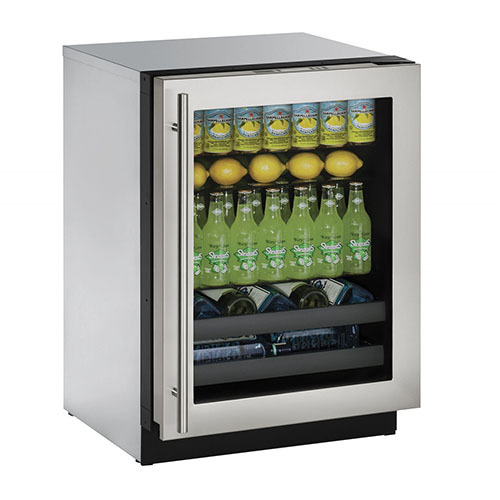 Ergonomic Design: Intuitive digital controls are located on the top face of the this beverage cooler.Even Cooling: This unit a digital cooling system and LowE-coated, argon gas-filled glass door that maintains temperature within 1 degreeF of your settings.Sabbath-Friendly: To observe Jewish Sabbath and holidays it has been Star K certified. 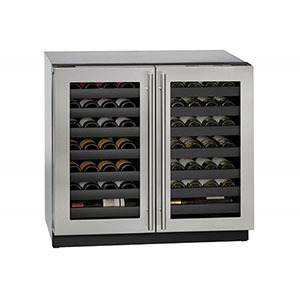 Complete your home bar in style with the 2000 Series Stainless Steel Wine & Beverage Center with Lock (2224BEVS-13A). 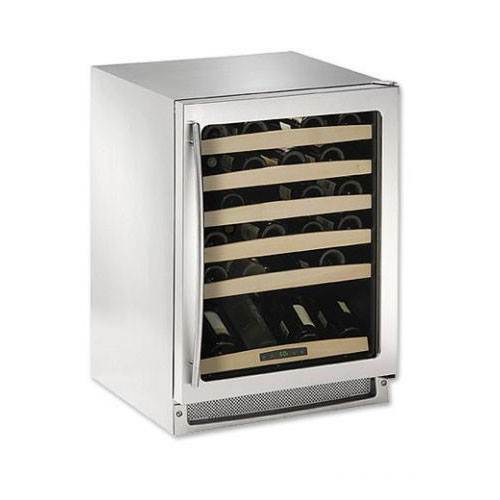 This cooler is compact in size and offers smart temperature controls plus a handy locking door. Sure to please the whole family, this cooler has room to store up to 79 bottles (12-oz.) or 123 cans (12-oz.) as well as 10 bottles of wine. Its innovative digital convection cooling system combines with the LowE-coated, argon gas-filled Thermopane glass door to ensure the temperature inside remains within 1 degreeF of your settings. 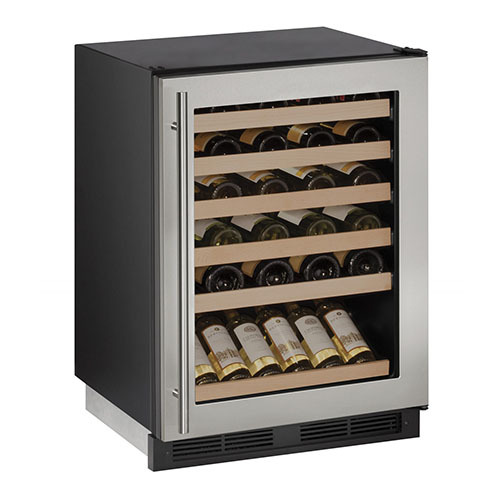 This beverage center has a sleek stainless steel and black finish with natural beech wood wine rack fronts.Ergonomic Control: Simple digital controls are placed on the top face of this beverage cooler.Even Temperature: LowE-coated and argon gas-filled glass door locks for safety and combined with the digital convection cooling system, it maintains the temperature to 1 degreeF of your setting.Star K Certified: This beverage center has been Star K certified for strict observance of Jewish Sabbath and holiday laws. Your ultimate home bar experience starts with the 2000 Series Stainless Steel Wine & Beverage Center (2224BEVS-00A). Compact in size and technologically-savvy, this cooler makes it easy to please everyone. 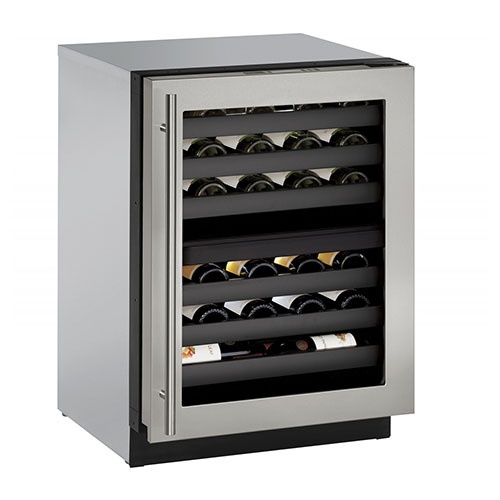 It offers storage for up to 79 bottles (12-oz.) or 123 cans (12-oz.) as well as 10 bottles of wine. The digital convection cooling system and LowE-coated, argon gas-filled Thermopane glass door ensure the temperature inside remains within 1 degreeF of your settings. 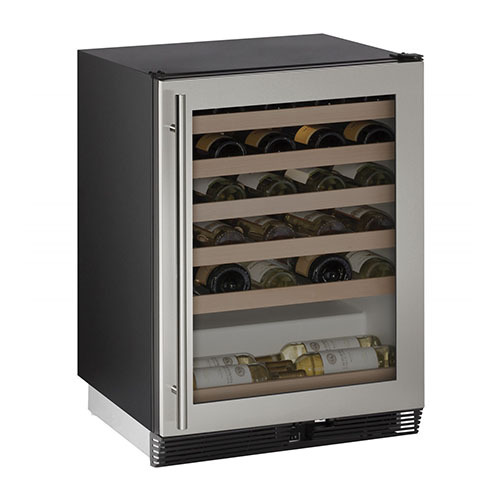 This beverage center comes in a contemporary stainless steel and black finish with handsome natural beech wood wine rack fronts.Ergonomic Control: Simple digital controls are placed on the top face of this beverage cooler.Even Temperature: LowE-coated and argon gas-filled glass door and a digital convection cooling system maintain the temperature to 1 degreeF of your setting.Star K Certified: This beverage center has been Star K certified for strict observance of Jewish Sabbath and holiday laws. 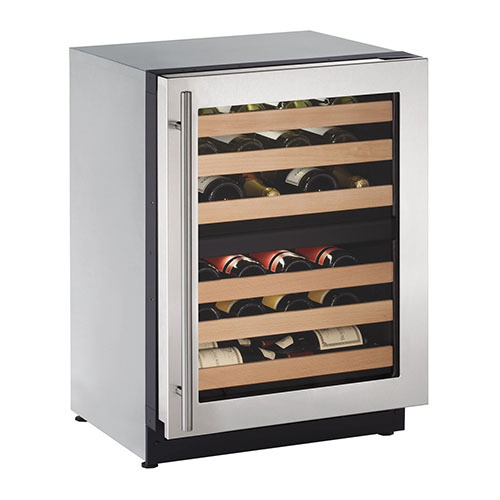 You have an entertaining reputation to withhold, which makes the 3000 Series Stainless Steel Wine & Beverage Center (3024BEVS-00A) a smart way to up your game. 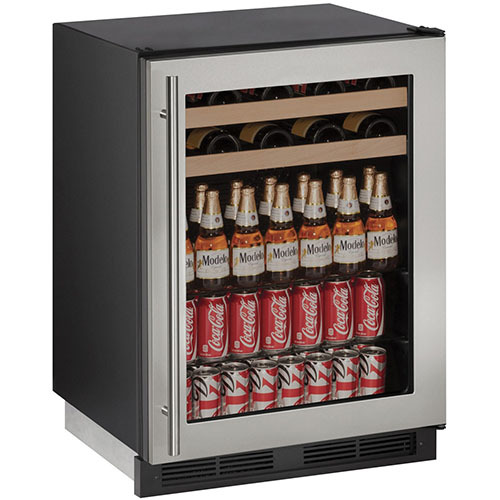 This cooler keeps chilled beverages at the ready and looks good doing it. Its innovative U-Select Control convection cooling system with digital OLED display is located on top of the door. U-Select Control offers five distinct modes: Beverage: 34 degreeF - 40 degreeF, Deli: 34 degreeF - 40 degreeF, Market: 34 degreeF - 40 degreeF, Pantry: 34 degreeF - 70 degreeF, Root Cellar: 45 degreeF - 55 degreeF. The digital convection cooling system and LowE-coated, argon gas-filled glass door ensure temperatures remain within 1 degreeF of your settings. 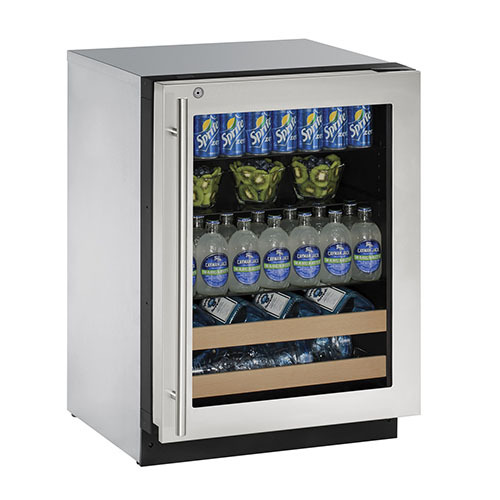 Open the door to find room to store up to 79 bottles (12-oz.) or 123 cans (12-oz.) 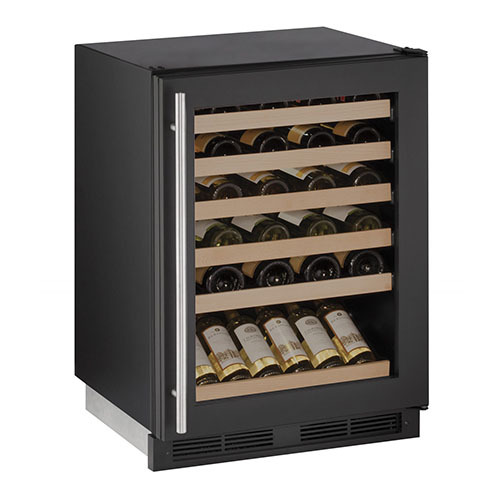 plus 10 bottles of wine on the 2 gliding racks below.U-Select Control: The smart U-Select controls let you choose between five distinct modes for beverage, deli, market, pantry, and root cellar.Consistent Cooling: This beverage center maintains temperature within 1 degreeF with a digital convection cooling system and LowE-coated and argon gas-filled door.Sabbath Certified: With a Star K certification, this center is designed to adhere to Jewish Sabbath and holiday observance.